User experience (UX) refers to a person's emotions and attitudes about using a particular product, system or service. 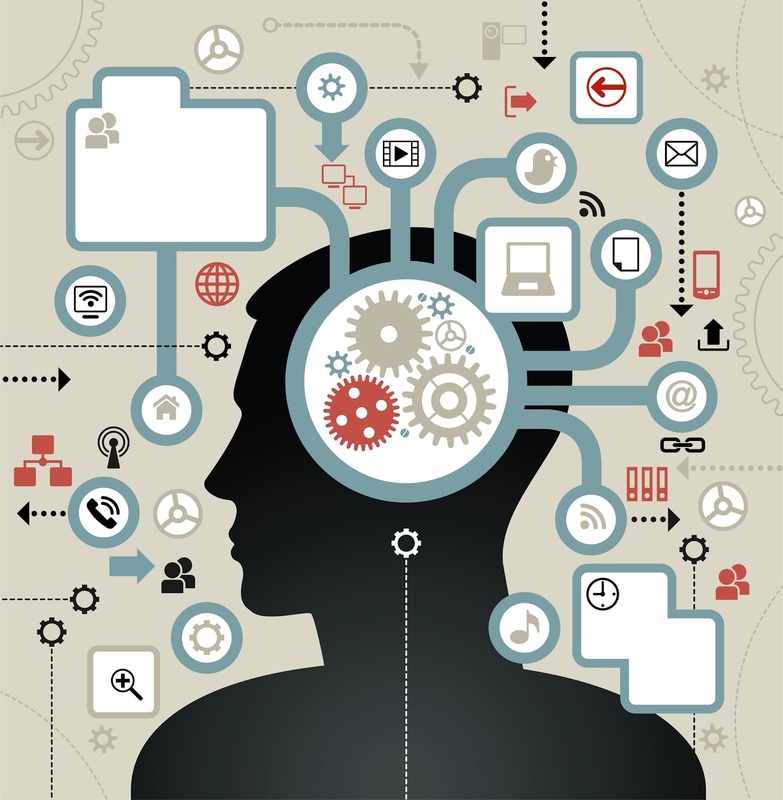 User experience includes the practical, experiential, affective, meaningful and valuable aspects of human–computer interaction and product ownership. Additionally, it includes a person’s perceptions of system aspects such as utility, ease of use and efficiency. User experience may be considered subjective in nature to the degree that it is about individual perception and thought with respect to the system. User experience is dynamic as it is constantly modified over time due to changing usage circumstances and changes to individual systems as well as the wider usage context in which they can be found. The international standard on ergonomics of human system interaction, ISO 9241-210, defines user experience as "a person's perceptions and responses that result from the use or anticipated use of a product, system or service". According to the ISO definition, user experience includes all the users' emotions, beliefs, preferences, perceptions, physical and psychological responses, behaviors and accomplishments that occur before, during and after use. The ISO also list three factors that influence user experience: system, user and the context of use. Note 3 of the standard hints that usability addresses aspects of user experience, e.g. "usability criteria can be used to assess aspects of user experience". The standard does not go further in clarifying the relation between user experience and usability. Clearly, the two are overlapping concepts, with usability including pragmatic aspects (getting a task done) and user experience focusing on users’ feelings stemming both from pragmatic and hedonic aspects of the system. Many practitioners use the terms interchangeably. The term usability pre-dates the term user experience. Part of the reason the terms are often used interchangeably is that, as a practical matter, a user will at minimum require sufficient usability to accomplish a task, while the feelings of the user may be less important, even to the user herself. Since usability is about getting a task done, aspects of user experience like information architecture and user interface can help or hinder a user's experience. If a website has "bad" information architecture and a user has a difficult time finding what they are looking for, then a user will not have an effective, efficient and satisfying search. In addition to the ISO standard, there exist several other definitions for user experience. Some of them have been studied by Law et al. The term user experience was brought to wider knowledge by Donald Norman in the mid-1990s. He never intended the term "user experience" to be applied only to the affective aspects of usage. A review of his earlier work suggests that the term "user experience" was used to signal a shift to include affective factors, along with the pre-requisite behavioral concerns, which had been traditionally considered in the field. Many usability practitioners continue to research and attend to affective factors associated with end-users, and have been doing so for years, long before the term "user experience" was introduced in the mid-1990s.In an interview in 2007, Norman discusses the widespread use of the term "user experience" and its imprecise meaning as a consequence thereof. In website design, it was important to combine the interests of different stakeholders: marketing, branding, visual design, and usability. Marketing and branding people needed to enter the interactive world where usability was important. Usability people needed to take marketing, branding, and aesthetic needs into account when designing websites. User experience provided a platform to cover the interests of all stakeholders: making web sites easy to use, valuable, and effective for visitors. This is why several early user experience publications focus on website user experience. The field of user experience represents an expansion and extension of the field of usability, to include the holistic perspective of how a person feels about using a system. The focus is on pleasure and value as well as on performance. The exact definition, framework, and elements of user experience are still evolving. Google Ngram Viewer shows wide use of the term starting in the 1930s.,"He suggested that more follow-up in the field would be welcomed by the user, and would be a means of incorporating the results of user's experience into the design of new machines." Use of the term in relation to computer software also pre-dates Norman. Many factors can influence a user's experience with a system. To address the variety, factors influencing user experience have been classified into three main categories: user's state and previous experience, system properties, and the usage context (situation).Studying typical users, contexts, interactions and resulting emotions help in designing the system. Single experiences influence the overall user experience: the experience of a key click affects the experience of typing a text message, the experience of typing a message affects the experience of text messaging, and the experience of text messaging affects the overall user experience with the phone. The overall user experience is not simply a sum of smaller interaction experiences, because some experiences are more salient than others. Overall user experience is also influenced by factors outside the actual interaction episode: brand, pricing, friends' opinions, reports in media, etc. One branch in user experience research focuses on emotions. This includes momentary experiences during interaction: designing affective interaction and evaluating emotions. Another branch is interested in understanding the long-term relation between user experience and product appreciation. The industry sees good overall user experience with a company's products as critical for securing brand loyalty and enhancing the growth of customer base. All temporal levels of user experience (momentary, episodic, and long-term) are important, but the methods to design and evaluate these levels can be very different. There are many definitions for user experience. Below a pool of definitions found from the literature and on the Web. All the aspects of how people use an interactive product: the way it feels in their hands, how well they understand how it works, how they feel about it while they’re using it, how well it serves their purposes, and how well it fits into the entire context in which they are using it. All aspects of the end-user’s interaction with the company, its services, and its products. The first requirement for an exemplary user experience is to meet the exact needs of the customer, without fuss or bother. Next comes simplicity and elegance that produce products that are a joy to own, a joy to use. True user experience goes far beyond giving customers what they say they want, or providing checklist features. In order to achieve high-quality user experience in a company’s offerings there must be a seamless merging of the services of multiple disciplines, including engineering, marketing, graphical and industrial design, and interface design. The overall experience, in general or specifics, a user, customer, or audience member has with a product, service, or event. In the Usability field, this experience is usually defined in terms of ease-of-use. However, the experience encompasses more than merely function and flow, but the understanding compiled through all of the senses. Every aspect of the user’s interaction with a product, service, or company that make up the user’s perceptions of the whole. User experience design as a discipline is concerned with all the elements that together make up that interface, including layout, visual design, text, brand, sound, and interaction. UE works to coordinate these elements to allow for the best possible interaction by users. User Experience (abbreviated: UX) is the quality of experience a person has when interacting with a specific design. A result of motivated action in a certain context. User’s previous experiences and expectations influence the present experience; this present experience leads to more experiences and modified expectations. The value derived from interaction(s) [or anticipated interaction(s)] with a product or service and the supporting cast in the context of use (e.g., time, location, and user disposition). The user experience considers the wider relationship between the product and the user in order to investigate the individual’s personal experience of using it. Users’ perceptions of interaction that constitute qualities of use. An activity of encounter by a computer user with the auditory and visual presentation of a collection of computer programs. It is important to note that this includes only what the user perceives and not all that is presented. An umbrella term used to describe all the factors that contribute to a site user’s overall perception of a system. Is it easy to use, attractive and appropriate? Does it meet user needs? The entire set of affects that is elicited by the interaction between a user and a product, including the degree to which all our senses are gratified (aesthetic experience), the meanigs we attach to the product (experience of meaning), and the feelings and emotions that are elicited (emotional experience). UX is a momentary, primarily evaluative feeling (good-bad) while interacting with a product or service. A set of material rendered by a user agent which may be perceived by a user and with which interaction may be possible. Encompasses all aspects of a digital product that users experience directly—and perceive, learn, and use—including its form, behavior, and content. Learnability, usability, usefulness, and aesthetic appeal are key factors in users’ experience of a product. The design of user interaction with a system, product or service considering the usability, the enjoyment and the fit to the way users think. The user experience, mostly called “customer experience” when referring to e-commerce websites; the totality of the experience of a user when visiting a website. Their impressions and feelings. Whether they’re successful. Whether they enjoy themselves. Whether they feel like coming back again. The extent to which they encounter problems, confusions, and bugs. User experience = Convenience + Design – Cost. Convenience is the king. What makes a product convenient is quite often what makes it usable. It might also relate to the availability of the product. It might also have something to do with laziness and productivity. Defining “convenience” is by no means an easy task. As is with everything else in this chart, convenience is subjective. Design is what makes a product liked and attractive, even before it has been used. Design is what makes you want the product. It is beauty, the touch of a famous designer, a likable company, character—pretty much what brand value is thought to be. The user experience is the totality of end-users’ perceptions as they interact with a product or service. These perceptions include effectiveness (how good is the result? ), efficiency (how fast or cheap is it? ), emotional satisfaction (how good does it feel? ), and the quality of the relationship with the entity that created the product or service (what expectations does it create for subsequent interactions?). The overall experience and satisfaction a user has when using a product or system. The overall perception and comprehensive interaction an individual has with a company, service or product. A positive user experience is an end-user‘s successful and streamlined completion of a desired task. User experience (UX) represents the perception left in someone’s mind following a series of interactions between people, devices, and events – or any combination thereof. User experience stands for the quality of a global experience as perceived by a person (user) interacting with a system. Users’ judgement of product quality arising from their experience of interaction, and the product qualities which engender effective use and pleasure.